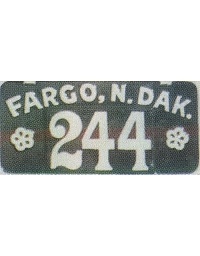 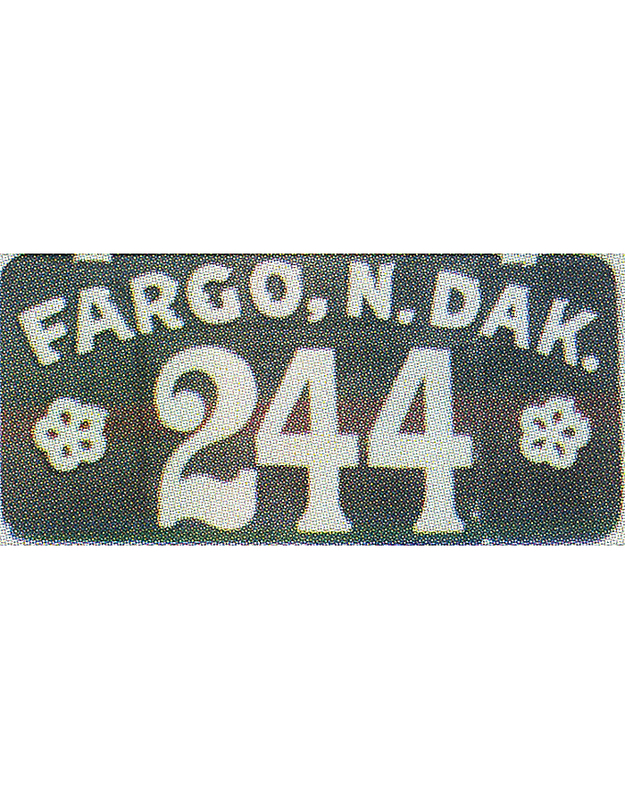 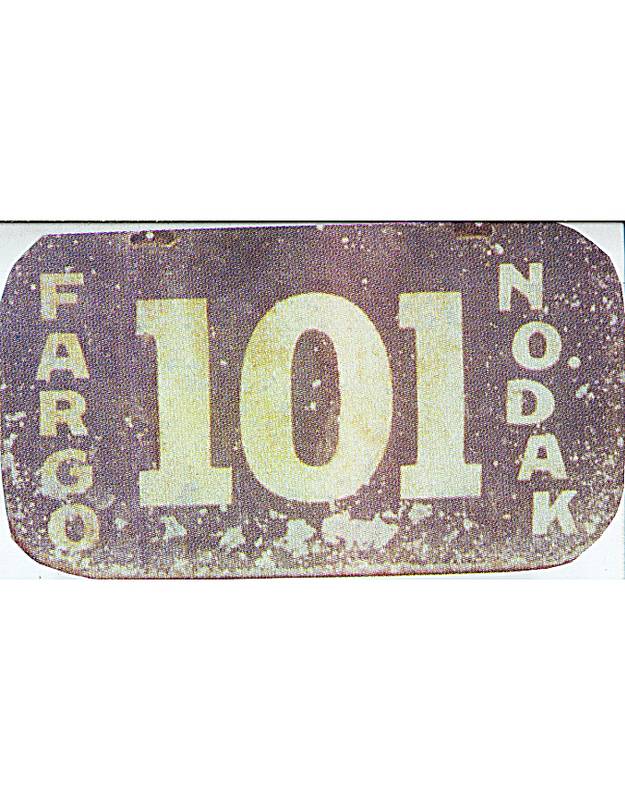 Five cities in North Dakota are known to have used local license plates during the first decade of the 20th century. 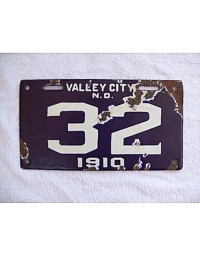 There was no statewide registration until 1911, however, when official state license plates were issued. 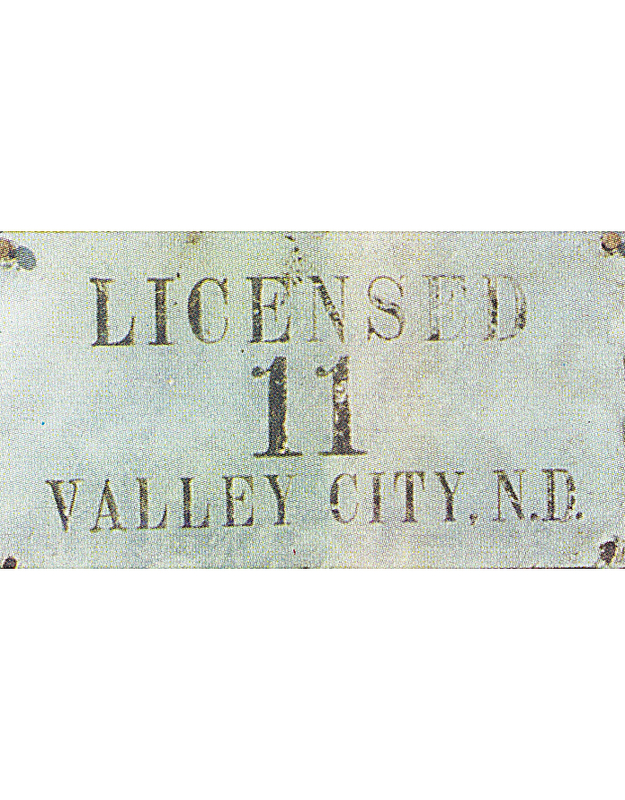 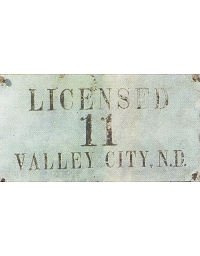 Valley City used official license plates in 1909 (undated aluminum), 1910 (and 1911) in porcelain. 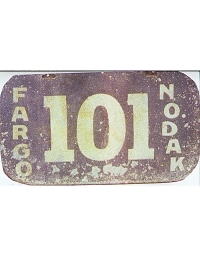 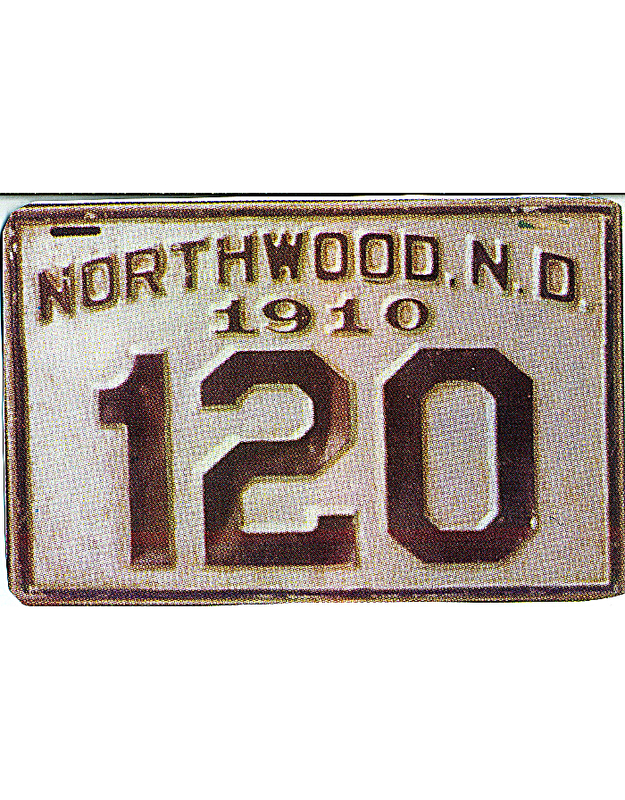 Fargo required registration perhaps as early as 1909; owners were to provide their own license plates. 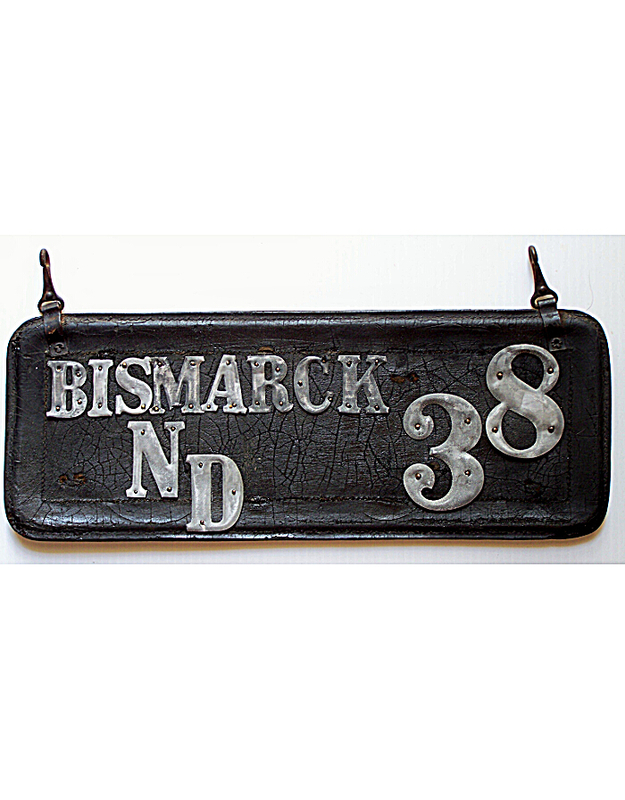 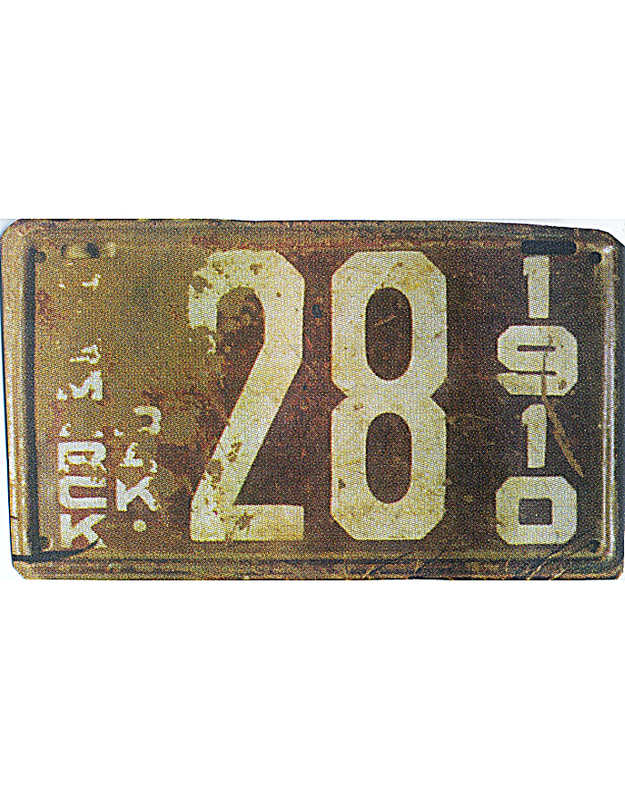 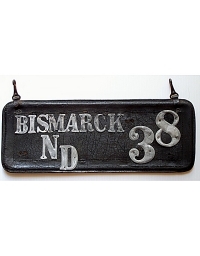 Bismarck issued an official plate in 1910, and a leather tag is also known, presumably 1909. 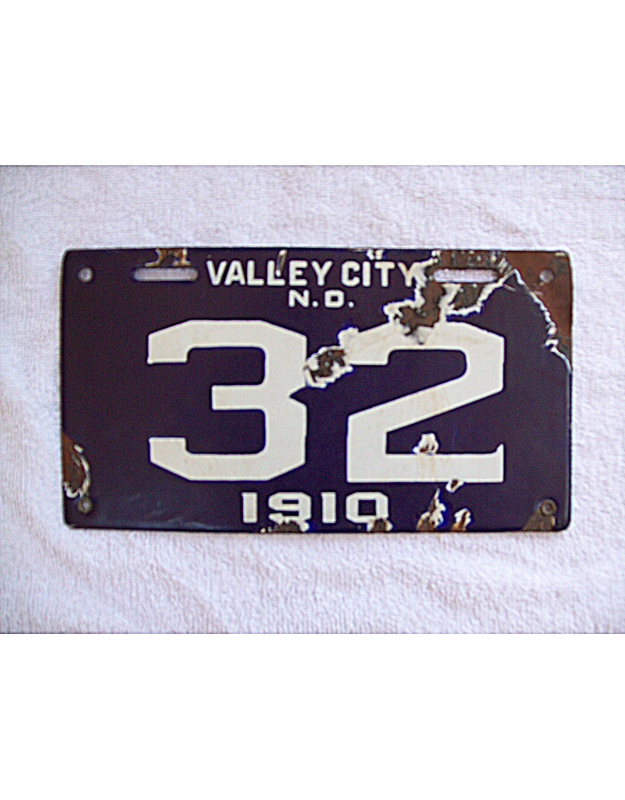 Devil’s Lake had owner-made plates, perhaps 1909 and 10, with initials “DL”. 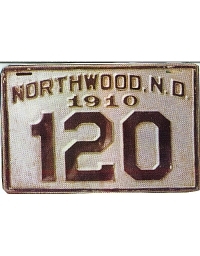 Northwood provided city-issued aluminum dated tags for 1910 (and 1911).